Want to rock your next research paper? 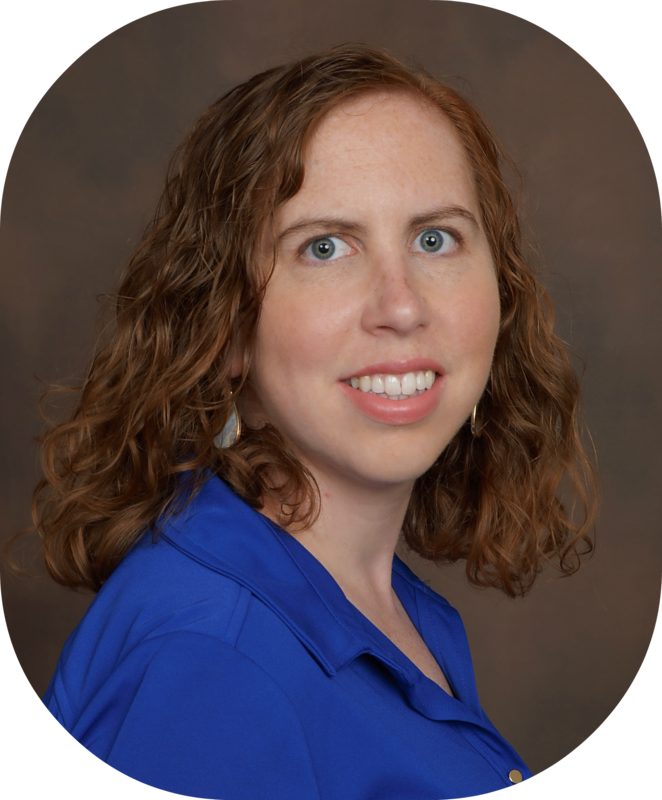 Do research papers send you into the panic zone? Have no fear! 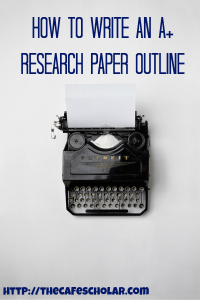 This guide will take you step-by-step through the process of writing an awesome research paper. Follow my lead, and you’ll have a well researched, well organized, and well-written research paper. Even better, you’ll finish before finals week, so you can study smarter and avoid those painful all-nighters! This series began on Wednesday, July 5. As each post goes live, it will be linked here for your easy reference. 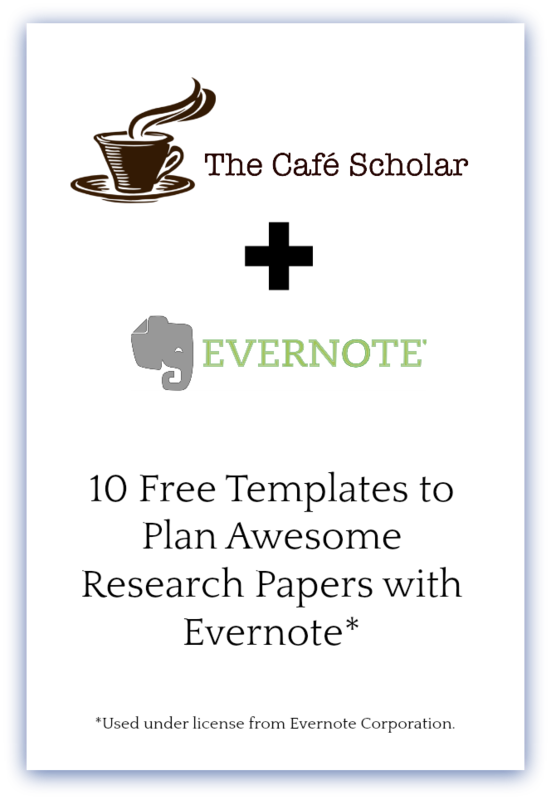 In the meantime, don’t forget to sign up here to receive my 10 free templates to plan your research paper with Evernote! Planning will make writing your research paper so much easier. A good plan and the right tools will save you a lot of time and headache along the way. First, you will need to create a planning notebook (you can use a tool like Evernote or a physical notebook) to keep all of your research organized in one place. If possible, you want to do this at the very beginning of the semester, even before you choose your topic, so that all of your ideas will be gathered and easy to find when you are ready to spend some more dedicated time on your paper. If you found this post mid-semester, don’t worry; you can still do this now, but it does make your life easier to start with the right tools from the beginning! 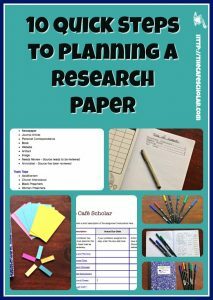 Read more about how to plan your research paper. Choosing a good topic is one of the most important steps in writing your research paper. 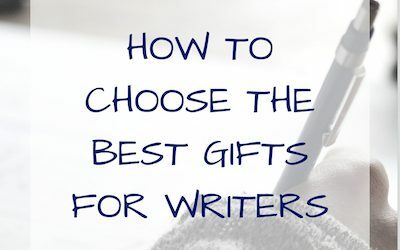 Choose well, and you will have a much easier time writing; you might even have fun! (I do. Nerd alert). Choose poorly, and you will end up doing double work. Not the best way to study smarter. Start this process early if you can – from the very beginning of the semester. Your planning notebook will have a place to gather topic ideas, and as you complete your other course assignments, you can add to your collection any ideas that come to mind. When you are ready to start writing your paper, you can start narrowing your topic ideas, focusing on ones that get you excited, meet the assignment requirements, and have enough quality source material for you to do solid research. 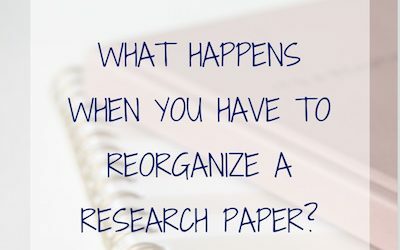 Read more about how to choose a great research paper topic here. Before you start writing a research paper, some professors will require you to submit a research paper proposal. 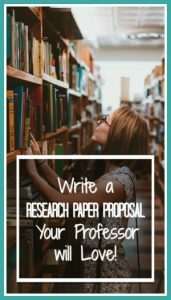 If your professor does not require a proposal, you should write one anyways! Here’s why: the purpose of a research paper proposal is to help you clarify your topic and make sure it is something you will be able to complete and make sure it meets the professor’s requirements. It will also make it harder to procrastinate. If you have followed the steps above, writing your proposal should be pretty straightforward. You will be using information that you have already gathered together, so you shouldn’t need to do any new work here. Instead, you are going to use the work you have already done and communicate your ideas to your professor. Read more about how to write a research paper proposal here. When your professor assigns a research paper, she might tell you “only use scholarly sources.” (If she doesn’t, she expects you to already know this). In academic writing, the only sources you should use are academic sources or scholarly sources – sources written by scholars (people with academic training and research in a particular field), for scholarly purposes (not popular consumption). 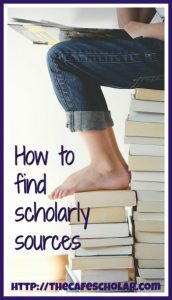 Good scholarly sources are peer-reviewed; one scholar or a group of scholars did the research, but others with related expertise reviewed the research to make sure the work is up to academic standards. Read more about how to find good scholarly sources for a research paper here. #5 What is the Difference Between a Primary Source and a Secondary Source? When assigning a research paper, your professor may specify a certain number or percentage of primary sources and secondary sources. If not, just know that academic writing requires a balance of both primary and secondary sources. But how do you know which is which? Whether a source is considered a primary source depends on how close the source is to the event or thing being studied. 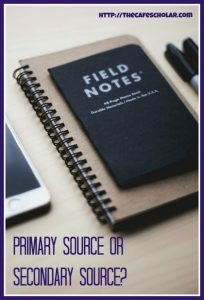 Read more about how to tell the difference between primary and secondary sources for your research paper here. While preparing to write a research paper, you will often be required to first write an annotated bibliography. 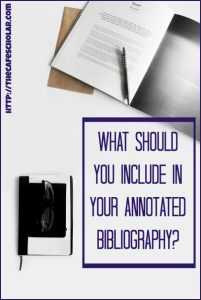 The annotated bibliography has all the citation information for the sources you used (or think you will use), but it also includes an annotation – almost like commentary – describing the source and how it will be significant or useful for your research. You will also want to note what type of source it is and whether it is a primary or secondary source. 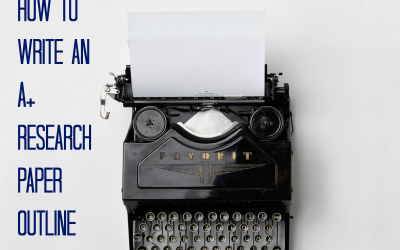 Read here to learn how to write (and master!) the annotated bibliography. I’m going to nerd out here for a minute…I think that writing the outline is the most important step in writing the research paper! 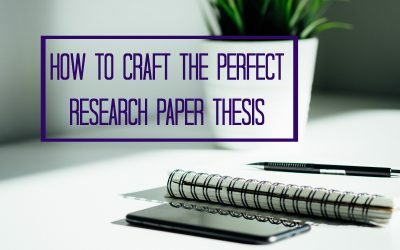 The outline helps you to make sure that you have a strong, solid argument that makes sense, that your research supports your thesis, and that your paper is well organized. It also helps you make sure you have the right sources lined up when you start writing the research paper itself. Read more about writing an A+ research paper outline here.